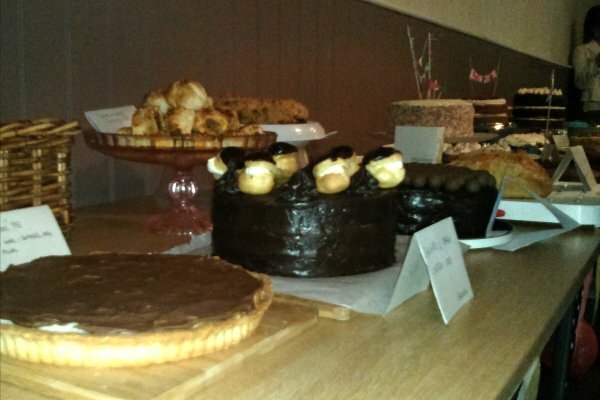 Our corner of South London has it's very own baking club, known as Band Of Bakers. My wife has been a proud member since its inception, and often brings home all manner of tasty cakes and breads. They seem to take it all pretty seriously, and they even had a brief flirtation with fame, when teak-faced housewives' favourite Paul Hollywood visited them for one of his TV shows. Now, baking isn't really one of my strengths, but stuffing my face with cake certainly is - so I finally managed to gatecrash one of their meets last week. The only catch was that I had to bring something with me. As this was to be their first anniversary, the theme was 'celebration'. I anticipated multi-tiered cakes, opera cakes, croquembouche, and all manner of extravagant creations. But I had a rather different interpretation of "celebration". 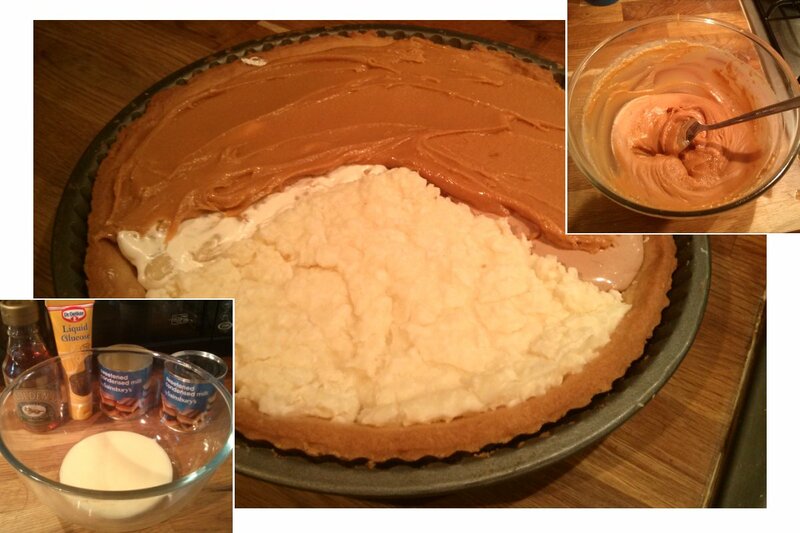 Hence, the Celebrations Pie was born. 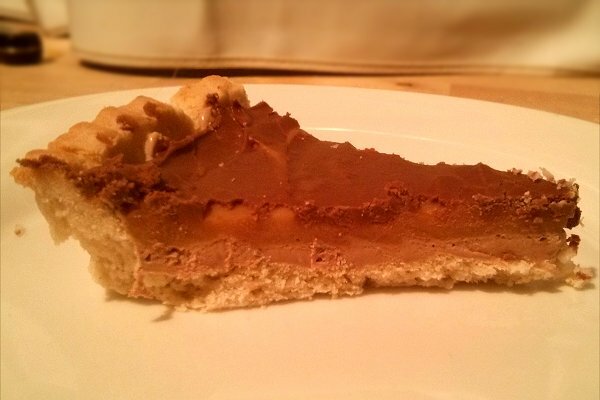 A chocolate covered tart, consisting of three sections inspired by Mars, Snickers, and Bounty bars. 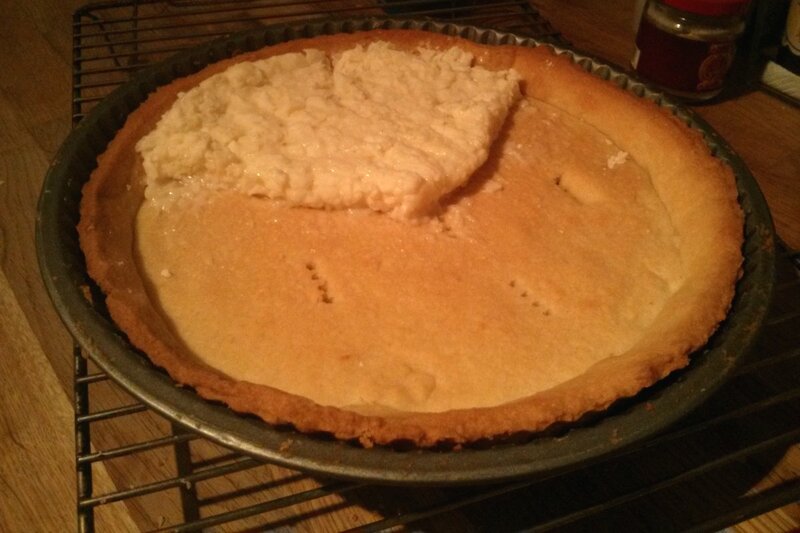 I started by making the pastry base - I'm no baker, so rolling out some shop bought sweet pastry into a tin is about as technical as I get. 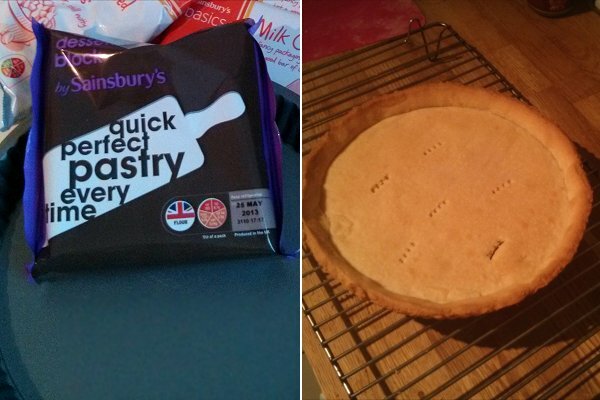 The packet promised "perfect pastry every time", which seemed optimistic, but it turned out about as well as I could hope for. 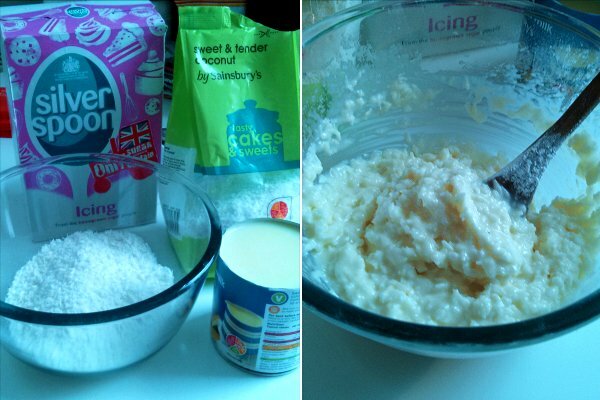 I then made the first filling - "Bounty" - by mixing dessicated coconut, condensed milk, and icing sugar. No cooking necessary, but it did need to be chilled in the fridge to solidify. When it came to creating the malty "Mars" filling, I found plenty of recipes online for making fluffy nougat. But they were all way too technical, involving sugar thermometers, "hard ball stage", and all sorts of nonsense. 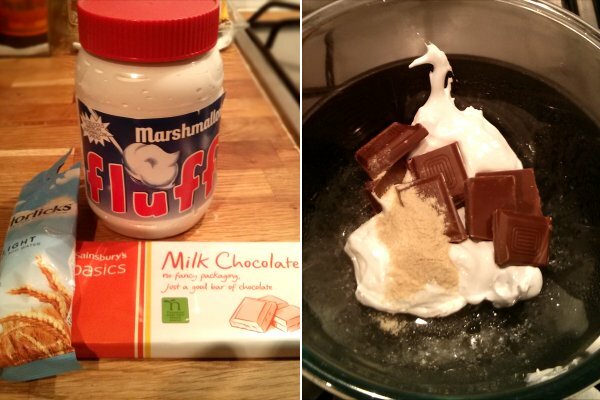 My own version consisted of melted chocolate, half a jar of marshmallow fluff, and a couple of teaspoons of Horlicks. 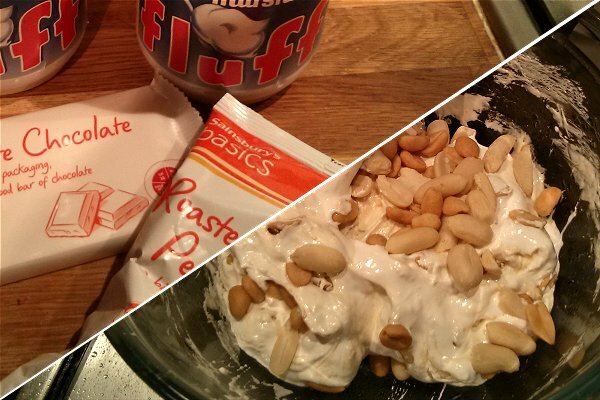 I also used the marshmallow fluff for the Snickers filling, this time mixing it with melted white chocolate and roasted peanuts. I didn't think of it as cheating - just common sense. Obviously the Mars and Snickers sections needed a caramel topping. I made this by taking another can of condensed milk with some glucose syrup and golden syrup, and sticking it in the microwave for a few minutes. 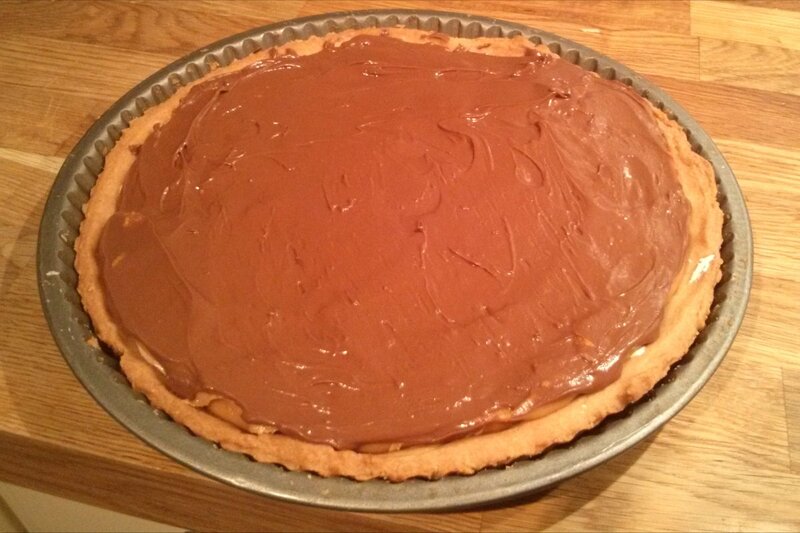 Finally I topped the whole lot with melted milk chocolate, and it was ready to go. 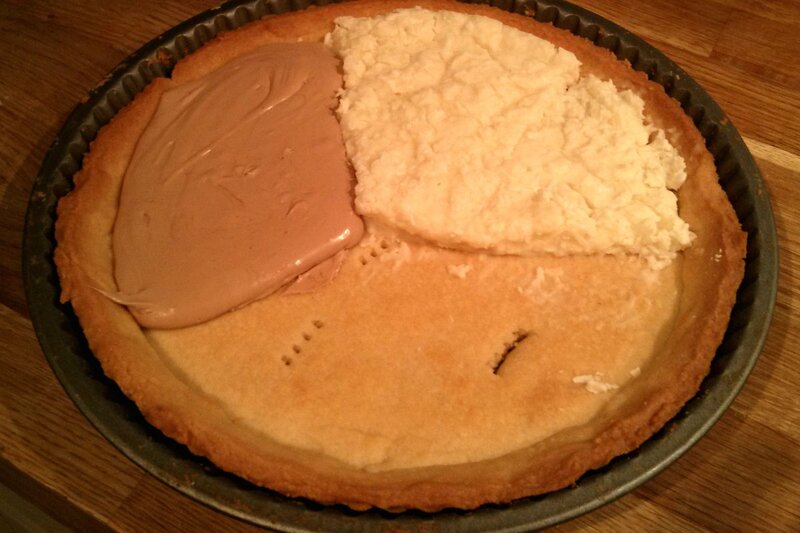 So, how did the celebrations pie go down at the baking club birthday party? 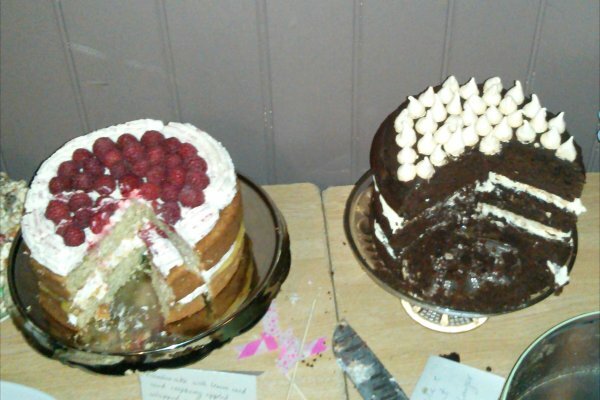 As predicted, there was a plethora of impressive cakes on display, and mine did look a bit sad in comparison. One person even mumbled "urgh, I'm not eating that", which I found pretty funny. But actually most people were very positive and encouraging, and generally kind towards the special kid in the class. In fact, my creation was (almost) all gone at the end of the night - but I did manage to rescue a slice of "Mars" to take home. 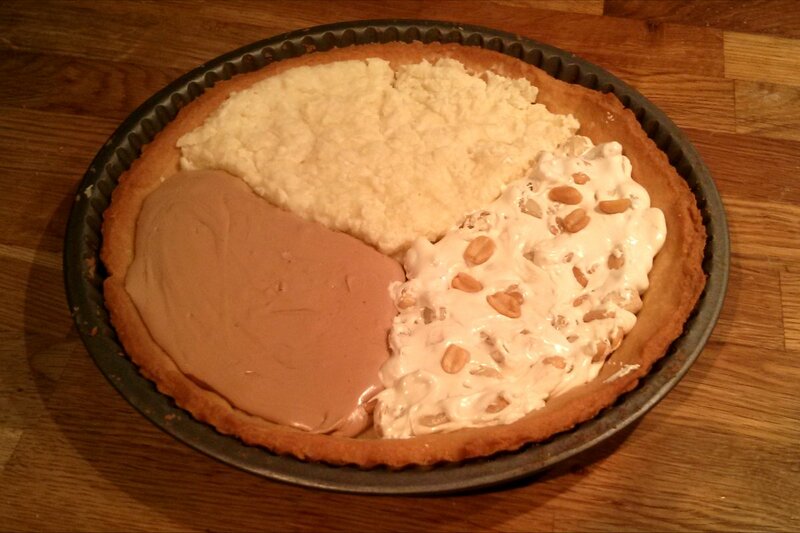 I was fairly happy with it, but if I were to be critical, the Mars filling needed a stronger malty flavour, and the Snickers needed more peanuts - and maybe even a pinch of salt. I love it! Hope you will definitely join us again!